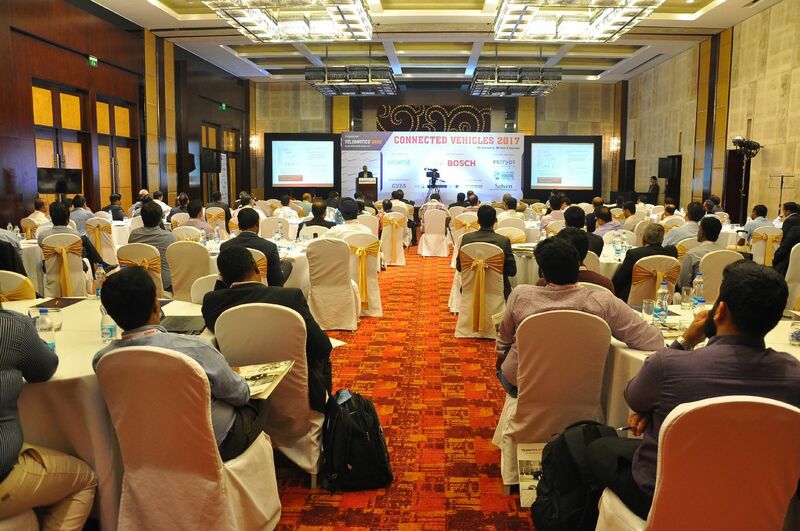 The NASSCOM Center of Excellence – IoT India in partnership with Exhibitions India Group and India Trade Promotion Organisation (ITPO) is co-organizing the 3rd IoT India expo 2019. InnoHEALTH 2018 is an annual conference scheduled on 5-6 October at New Delhi, India. With the theme of 'Inspiring Moonshots in Healthcare' the mission of the conference is to bring the top healthcare experts and all the other possible stakeholders in the health sector under one roof to discuss and deliberate on the interventions that can improve the quality of healthcare and make it more affordable. NASSCOM Center of Excellence - IoT in India is proud to support SAEINDIA as a Digital Transformation Partner in hosting the 37th edition of FISITA World Automotive Congress, which will be organized from 2nd to 5th Oct 2018 at Chennai, India. FISITA 2018 will take place over four days and will deliver world class technical presentations and offer experts from industry and academia the opportunity to share knowledge and advancements in new technologies with colleagues from the global automotive fraternity. The theme for the congress is “Disruptive Technologies for Affordable and Sustainable Mobility”. 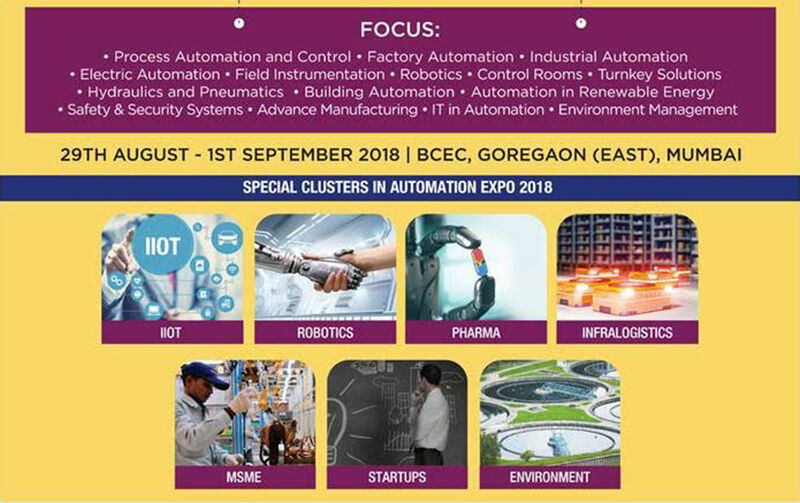 Automation Expo IoT in India, the largest Automation & Instrumentation exhibition in South-East Asia is all set to make a mark in 2018 as well. 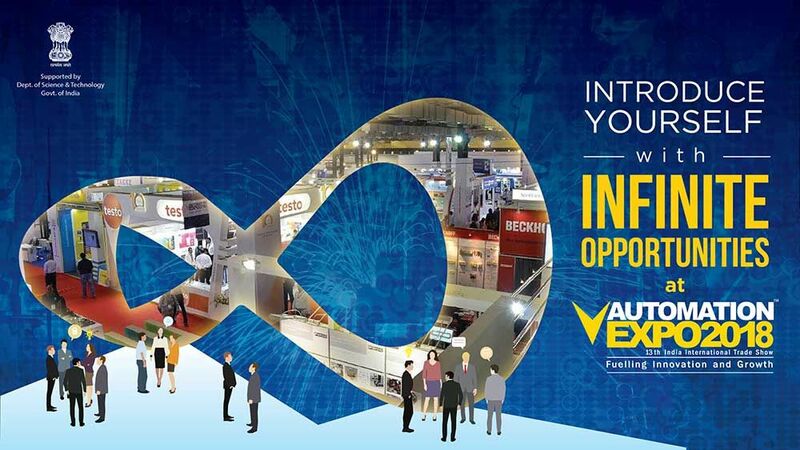 Under the valiant leadership of Dr. M Arokiaswamy, IED Communications has been successfully hosting Automation Expo and achieving its objective to fuel innovation and growth for 14 years now. 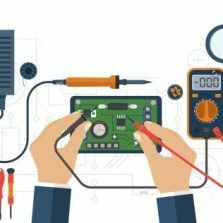 Automation Expo, the largest Automation & Instrumentation exhibition in South-East Asia is all set to make a mark in 2018 as well. 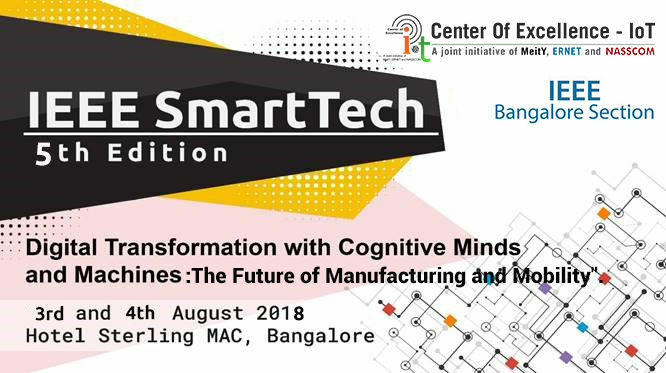 IEEE Bangalore Section, in partnership with NASSCOM Center of Excellence – IoT, IEEE Computer Society (Bangalore Section) and IEEE Power Engineering Society (Bangalore Section), bring to you, the 5th edition of ​IEEE SmartTech from 3-4 August 2018 in Hotel Sterling MAC, Bangalore. NASSCOM Center of Excellence – IoT and YES BANK with its practicing think-tank YES Global Institute are organising the Annual Cleantech Conference, supported by the Ministry of New and Renewable Energy (MNRE), on July 9 (Lunch: 1:00 – 2:00 PM & Conference: 2:00 PM onwards) at India Habitat Centre, New Delhi.